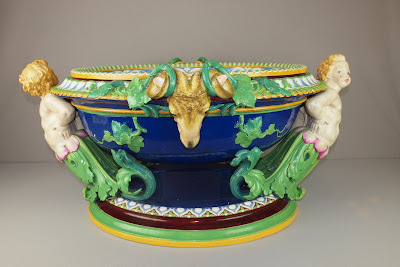 Michael Strawser will be conducting his semi-annual Majolica Auction on Friday and Saturday, October 28 & 29, 2011 at the Alderfer Auction Facility in Hatfield, Pennsylvania. The auction includes many rare and unusual majolica pieces by George Jones, Minton, Holdcroft, Hugo Lonitz and many other makers. Majolica for the beginning collector to the very advanced. 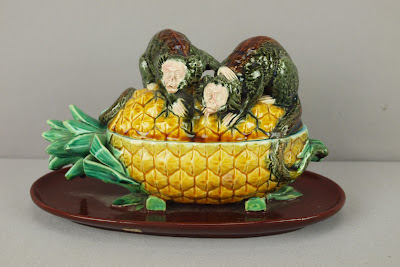 Visit Michael's website http://www.majolicaauctions.com/ then click on "Online Auctions" to view the entire catalog for both days.